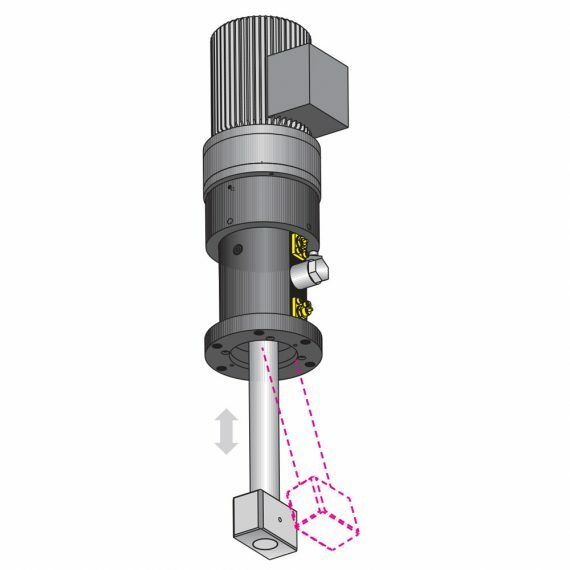 The rotation of the motor is converted into a swinging movement and a stroke of the tie rod by the exspine gear, the lead screw and the control pin. The tie rod swings out by max. 15¡. The clamping force is transmitted to the clamping point in the axial direction of the tie rod. 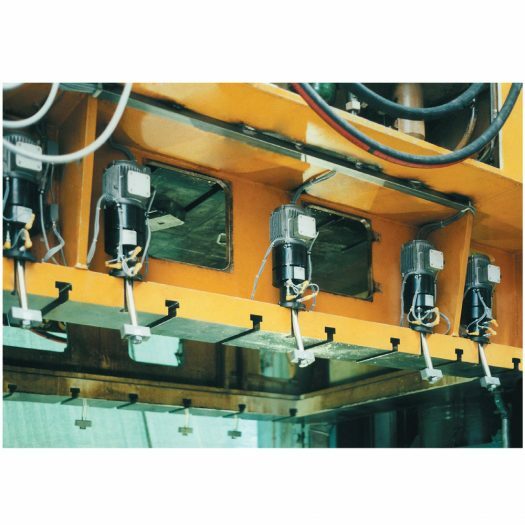 The clamping force and the clamping and unclamping positions are monitored by inductive proximity switches. The clamping force is maintained by mechanical self-locking. Electromechanical swing clamps mounted on a double-column press.